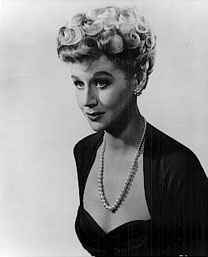 English actress, born 26 February 1922 in Barnt Green, Worcestershire, England, died 13 January 1976 in Chichester, Sussex, England. She had an exquisite sense of grandeur and refinement. She created the role of Hannah Jelkes in Tennessee Williams' The Night of the Iguana. She was married to Laurence Harvey from 1957 to 1961 (divorced).